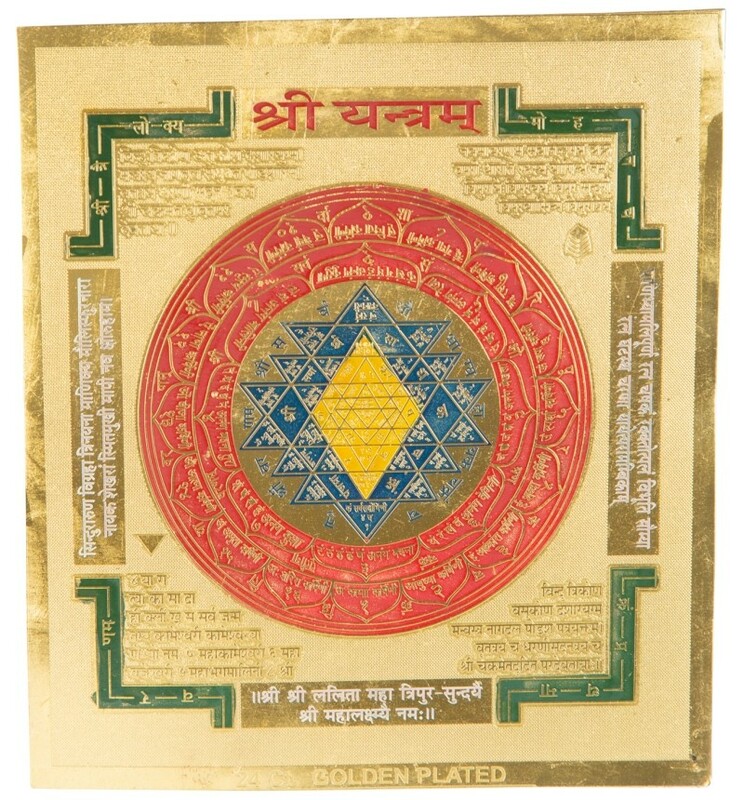 Home/Rituals/Yantras/Sri Yantra (For peace, prosperity and harmony) - 5" x 5"
This Sri Yantra is good quality and made of heavy metal. The Sri Yantra - also known as the Sri Chakra - is the design which helps Sri Yantra practitioners better understand their interconnected world view.The design of the Sri Yantra begins with a central point - this is the bindu. This core dot represents the unity of all things. Many Hindu wear a dot on their forehead to remind them of this tenet. Around the bindu are nine interlocking, interconnected triangles. Triangles are found in many major religions to represent a person's relationship with the larger world. The triangles, overlaid on each other, then form sub-triangles, reminding us of how everything is related to each other.The layout of these nine triangles is quite thought-provoking and complicated. The triangles are not simply the same size or of even sizes. Rather, the innermost triangle is wholly equilateral. 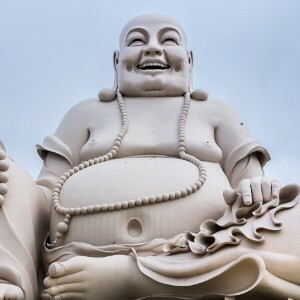 Every side is equivalent to the other two. And second, any time a trio of lines cross, they must do so all at the same point. While this might seem like simple geometry, it is actually quite challenging to have this happen with nine different triangles on top of each other. It showcases just how powerful this yantra is - and how carefully it was researched and drawn all those thousands of years ago. Around the outside of these triangles are shown lotus flowers, representing the creation of all. And at the very edges of the design are straighter lines which represent the Earth temple itself opening out onto the full universe.